A WasteWORKS customer since 1994, North Pointe Solid Waste has recently moved to WasteWORKS-SQL and constructed a beautiful new scale facility for their transfer station. The new scale house features dual WasteWIZARD systems and three shiny new scales. It’s not often that we use the word beautiful when describing a scale house, but the modern design, blue scale decks and brick scale house, set against the snow capped Mount Timpanogos, make this one of the most picturesque facilities you’ll find anywhere. Oh, and this place isn’t just pretty. It was built for maximum efficiency and providing both commercial and residential customers with top notch service. The site is located in Lindon, Utah and serves the communities of Utah County. The County is 44 miles south of Salt Lake City and is home to over half a million residents. North Pointe Solid Waste owns and operates a MSW and C&D transfer facility along with a C&D landfill. Started in 1974, this Special Service District has been serving the solid waste needs of more than 230,000 residents for over 40 years. In 1994, the transfer station was opened and the MSW landfill was closed. This is when North Pointe initially started using WasteWORKS and the team at Carolina Software has been a valuable asset ever since. A newly completed entrance to the transfer facility includes a new scale house and three scales, (two inbound, and one outbound). 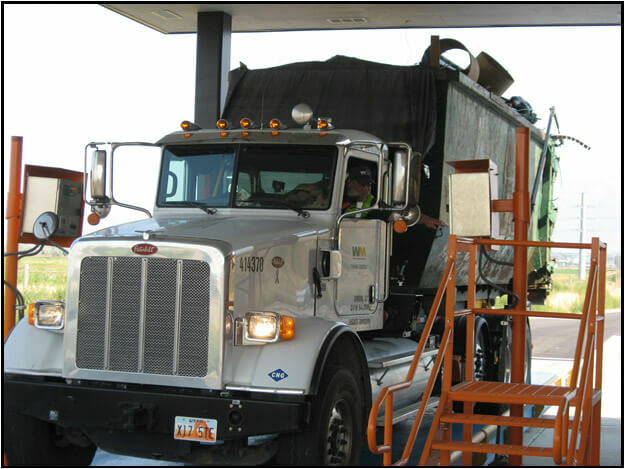 One of the inbound scales is equipped with WasteWIZARD, which handles more than 150 of nearly 400 transactions per day. The dual WasteWIZARD boxes allow for automating both left and right driven trucks and the swing-arm mounts keep the boxes safe from truck mirrors and protruding objects. In 2014, North Pointe shipped and landfilled more than 260,000 tons of MSW and Construction Debris. In addition to transfer services, the transfer station offers household hazardous waste collection & processing, old corrugated cardboard (OCC) recycling, single stream recycle collection & transfer, green waste collection & processing, concrete collection & recycling and help sponsor an annual HHW collection day each spring. 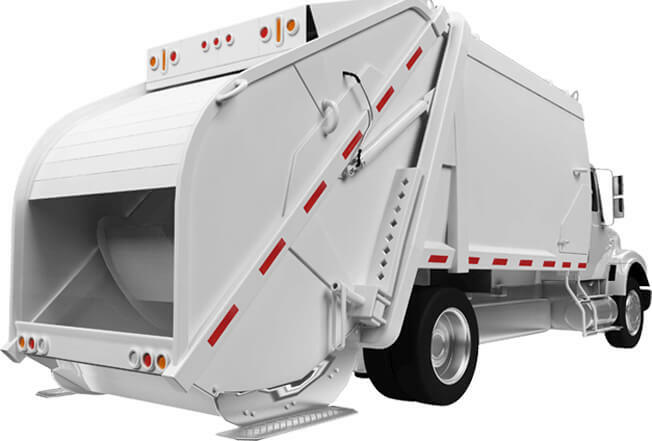 WasteWORKS has been an integral part of the operation since 1994. Its ease of operation and reliability makes it extremely easy to train new operators. Gathering information from the system is another strong point of the software. Daily and monthly reports are used consistently to evaluate operations and performance.